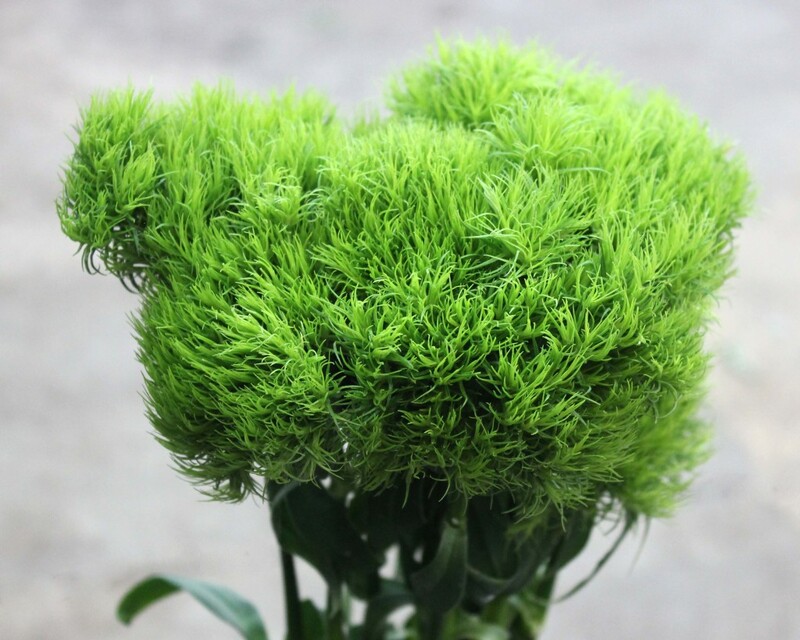 A close relative of Carnations, Green Trick Dianthus is a unique new cut flower has a “moss like” flower head that is bright green in color. It is unlike any other flower on the market. 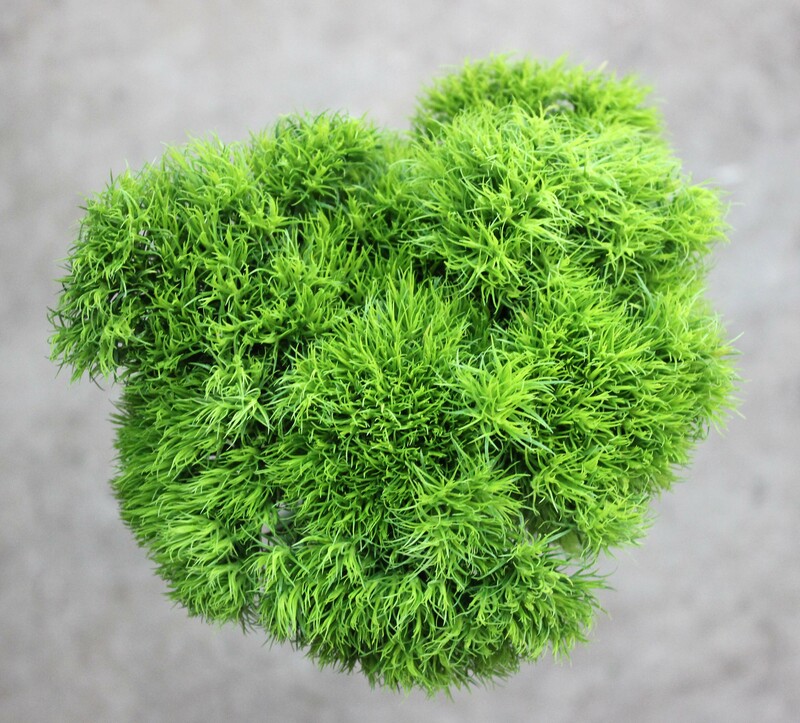 Holland growers claim that Green Trick Dianthus has a vase life of 3 to 4 weeks. 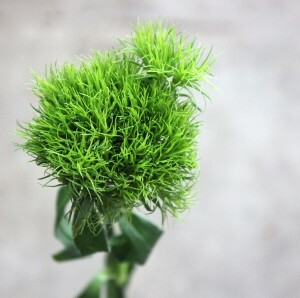 Green Trick Dianthus is available all year. 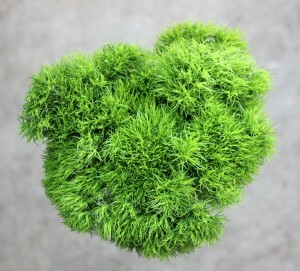 It comes in 10 stem bunches. The thrid picture above shows a single stem, while the first two show a bunch. Please consult with your salesperson for this week’s availability.